The Honey Badger is one of the toughest animals in the bush, it is notorious for it’s strength, ferocity, strength and endurance. It has been known to fend of Lions and even Buffalo’s. However they will only attack when threatened or cornered. So if you are camping on safari and encounter one of these fellows in the kitchen, just keep the door open, and allow them an escape route. In Southern Africa, Honey Badger’s do not have a breeding season, they will bare cubs throughout the year, and when you see two or more honey badgers, it is usually the mother and her cubs. In the southern Kalahari, honey badgers switch from being predominantly nocturnal in summer and diurnal in Winter. Juveniles are born blind, and remain so for about 2 months. The cubs will stay with the mother for about 14 months. This is a critical time for the juveniles, as they will learn how to hunt rodents in their extensive tunnel systems and learn survival skills such as killing poisonous snakes. 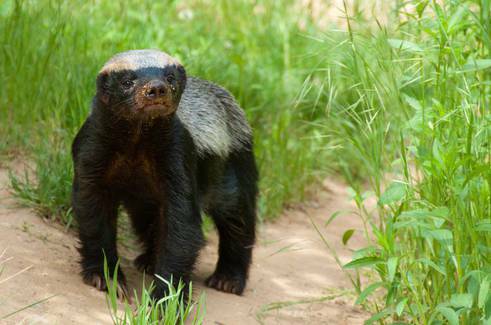 Honey Badger’s get the name “Honey” as they are often seen raiding bee hives, however, it is not the honey that they eat, instead they after the bee brood & larvae, which is highly nutritious. Honey badgers belong to the family Mustelidae (otters, martins, weasels, polecats). So, the next time you cross paths with one of these warriors, give them the utmost respect they deserve. Happy Safari! 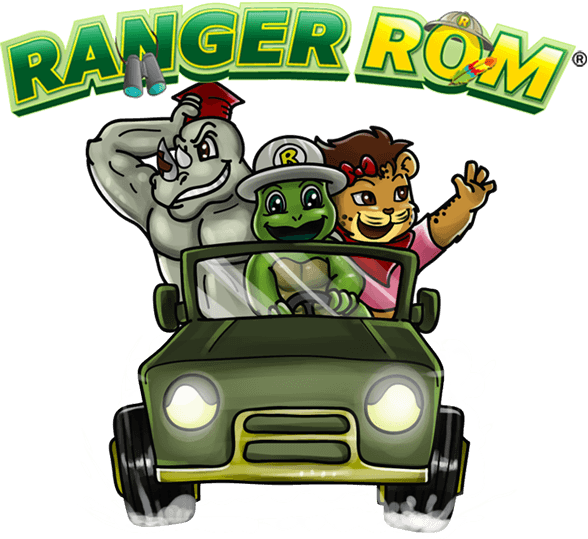 Keep in touch with Ranger Rom , Romiko and the gang are dedicated to helping the cause of endangered species worldwide. To get the latest happenings in their fun and crazy world, why not sign up for their newsletter? Or for any questions or comments, please contact us.